A man who killed a seagull when it tried to steal his chips has been ordered to serve a curfew. 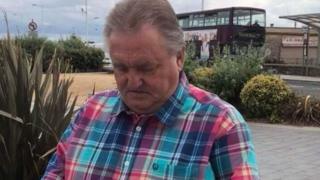 John Llewellyn-Jones, 64, of Bishopston Road, Cardiff, "smashed" the bird against a wall during a trip to Weston-super-Mare in July 2018. He denied breaching the Wildlife and Countryside Act 1981 but was found guilty at North Somerset Magistrates' Court on Tuesday. The RSPCA said: "He cared more for his chips than what he did to the gull." Mr Llewellyn-Jones was ordered to serve a 12-week curfew between the hours of 20:00 and 08:00, pay costs of £750 and an £85 victim surcharge. RSPCA inspector Simon Evans said: "This was an unthinkable and despicable way to treat an animal. "The gull was smashed against a wall by the man... and bystanders, including children, had to look on as the man killed the gull." The RSPCA advise people not to feed gulls and to dispose of rubbish properly, particularly in seaside areas more prone to the birds.